Frances McLeod is a founding partner of FRA and head of its US offices. 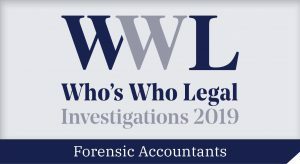 She is a former investment banker and has over 25 years of experience advising diverse clients on sanctions, anti-corruption, fraud, internal controls, asset tracing, and money laundering issues. 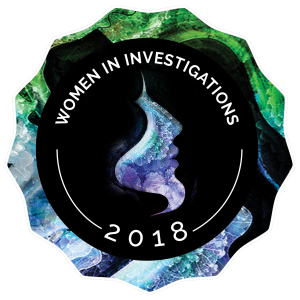 Frances is recognized in GIR’s Women in Investigations 2018 publication, which profiles the top 100 remarkable women in the profession from around the world, and Who’s Who Legal Investigations, Consulting Experts, Thought Leader and Global Elite. Sources regard her as a “highly respected expert” and “excellent with clients” who consider her “creative and extremely easy to work with”. Frances has been deeply involved in all of FRA’s compliance monitorship work, to include US DOJ and SEC FCPA monitorships, a New York Department of Financial Services bank monitorship, the Ferguson City monitorship, a PCAOB monitorship and a US DOJ fraud-related monitorship. She led the team providing technical advice to the Asia Pacific Group on money laundering under a mandate from the Asian Development Bank, drawing on her knowledge of alternative banking systems and offshore havens, and has provided expert advice in terrorism financing litigation cases. She has also served as an expert witness on counter terror financing in litigation involving an international bank. She led FRA’s UN Oil-For-Food (OFF) investigation work, including an analysis of the function of the OFF escrow account managed from New York by a global bank. Frances has extensive experience in addressing complex international data transfer issues whether in regulatory investigations or cross border litigation. She led the FRA team responding to anticorruption investigation data requests in all jurisdictions for Alstom in the US, UK, Brazil, Indonesia, Poland, Sweden, etc., which included addressing French data privacy and Blocking Statute issues. She is leading FRA’s GDPR compliance initiative leveraging FRA’s decades of experience in addressing data protection issues in cross-border litigation and investigation. An Oxford graduate and former investment banker, Frances was responsible for the design and implementation of claim evaluation and administration systems for the US$1.3 billion Swiss bank and US$2.5 billion German Slave Labor Holocaust settlements. Frances speaks English, German, French, and Mandarin Chinese. 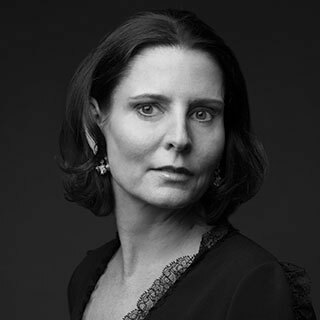 Prior to co-founding FRA in 1999, Frances worked in the mergers and acquisitions divisions of Lazard and Schroders in London and HSBC in Indonesia. She holds a master’s degree from Wadham College, Oxford.